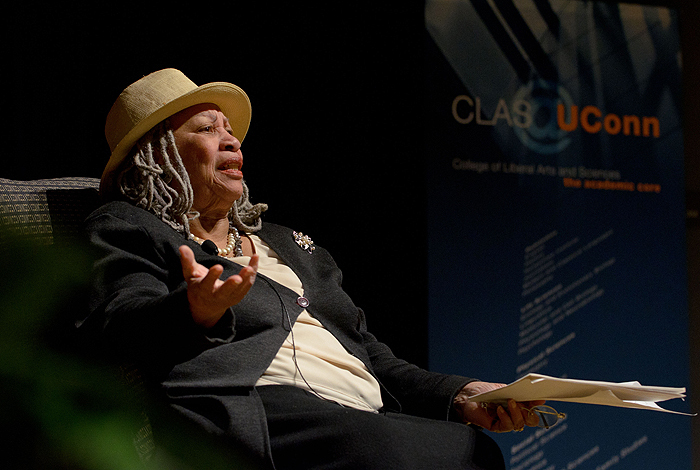 Nobel and Pulitzer prize-winning author Toni Morrison speaks at the Student Union Theatre on April 8. Photo by Peter Morenus. 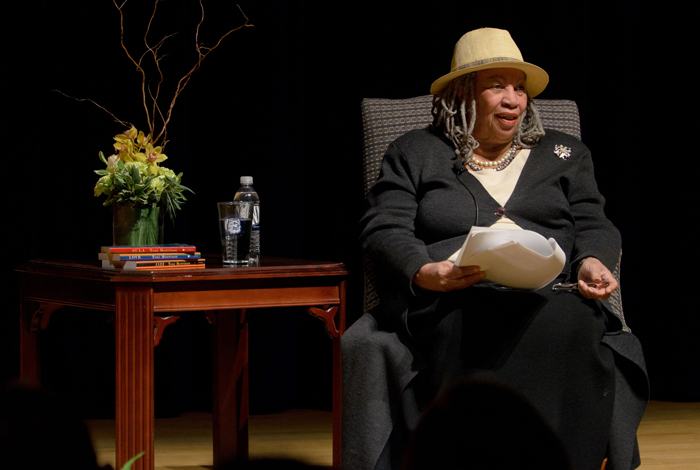 Morrison is best known for her richly detailed novels that typically explore the African-American experience from a feminine perspective. She says her books are about values. Photo by Peter Morenus. In her novel Tar Baby, Morrison wrote about capitalism and the ramifications it has had upon African Americans. The picture she painted of capitalism is problematic. She spoke of the “seductive costumes of globalism,” noting that “in today’s world, corporations are selling democracy as if it is toothpaste.” The danger is that too many global corporations have no national interest, no loyalties, and are not committed to public service. She said she is becoming alarmed by the separation of wealth and power from ordinary citizens, and fears that attempts to “privatize everything” are making the problem worse. Responding to an audience member who asked if she had any words of wisdom to share with young women, Morrison responded that at some time in our lives we all experience a moment when, “you become the person you are” and that your age “when you become you” is irrelevant.